Our Premium Interior Ceiling Latex paint is designed to meet the performance requirements of the residential and commercial markets. It is high hiding and spatter resistant. 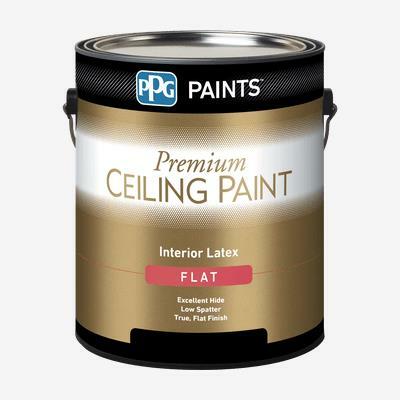 The bright white, flat latex provides a beautiful, premium finish to interior ceilings. Recommended on properly prepared and primed ceilings made of wallboard, cured plaster, wood and masonry.